George Frideric (or Frederick) Handel ( /ˈhændəl/ ; [lower-alpha 1] born Georg Friedrich Händel [lower-alpha 2] [ˈɡeːɔɐ̯k ˈfʁiːdʁɪç ˈhɛndl̩] ( listen ); 23 February 1685 (O.S.) [(N.S.) 5 March] – 14 April 1759)  [lower-alpha 3] was a German, later British, Baroque composer who spent the bulk of his career in London, becoming well known for his operas, oratorios, anthems, and organ concertos. Handel received important training in Halle-upon-Saale and worked as a composer in Hamburg and Italy before settling in London in 1712; he became a naturalised British subject in 1727. He was strongly influenced both by the great composers of the Italian Baroque and by the middle-German polyphonic choral tradition. Within fifteen years, Handel had started three commercial opera companies to supply the English nobility with Italian opera. Musicologist Winton Dean writes that his operas show that "Handel was not only a great composer; he was a dramatic genius of the first order." As Alexander's Feast (1736) was well received, Handel made a transition to English choral works. After his success with Messiah (1742) he never composed an Italian opera again. Almost blind, and having lived in England for nearly fifty years, he died in 1759, a respected and rich man. His funeral was given full state honours, and he was buried in Westminster Abbey in London. Alexander's Feast is an ode with music by George Frideric Handel set to a libretto by Newburgh Hamilton. Hamilton adapted his libretto from John Dryden's ode Alexander's Feast, or the Power of Music (1697) which had been written to celebrate Saint Cecilia's Day. Jeremiah Clarke set the original ode to music. Messiah is an English-language oratorio composed in 1741 by George Frideric Handel, with a scriptural text compiled by Charles Jennens from the King James Bible, and from the Coverdale Psalter, the version of the Psalms included with the Book of Common Prayer. It was first performed in Dublin on 13 April 1742 and received its London premiere nearly a year later. After an initially modest public reception, the oratorio gained in popularity, eventually becoming one of the best-known and most frequently performed choral works in Western music. Born the same year as Johann Sebastian Bach and Domenico Scarlatti, Handel is regarded as one of the greatest composers of the Baroque era, with works such as Messiah , Water Music , and Music for the Royal Fireworks remaining steadfastly popular. One of his four coronation anthems, Zadok the Priest (1727), composed for the coronation of George II, has been performed at every subsequent British coronation, traditionally during the sovereign's anointing. Another of his English oratorios, Solomon (1748), has also remained popular, with the Sinfonia that opens act 3 (known more commonly as "The Arrival of the Queen of Sheba") featuring at the 2012 London Olympics opening ceremony. Handel composed more than forty operas in over thirty years, and since the late 1960s, with the revival of baroque music and historically informed musical performance, interest in Handel's operas has grown. Giuseppe Domenico Scarlatti was an Italian composer. 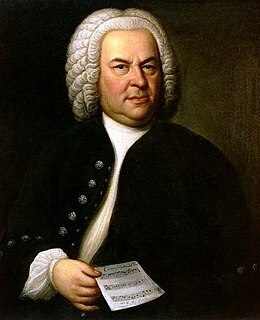 He is classified primarily as a Baroque composer chronologically, although his music was influential in the development of the Classical style and he was one of the few Baroque composers to transition into the classical period. Like his renowned father Alessandro Scarlatti, he composed in a variety of musical forms, although today he is known mainly for his 555 keyboard sonatas. He spent much of his life in the service of the Portuguese and Spanish royal families. 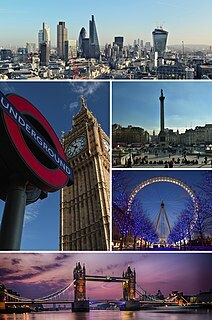 The Music for the Royal Fireworks is a suite for wind instruments composed by George Frideric Handel in 1749 under contract of George II of Great Britain for the fireworks in London's Green Park on 27 April 1749. It was to celebrate the end of the War of the Austrian Succession and the signing of the Treaty of Aix-la-Chapelle (Aachen) in 1748. Halle (Saale) is a city in the southern part of the German state Saxony-Anhalt. It is the largest city of the state and the fourth-largest of former East Germany. 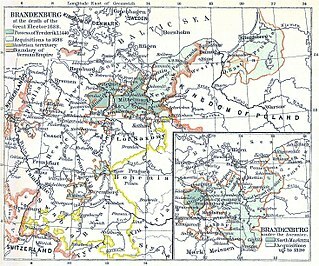 The Duchy of Magdeburg was a province of Margraviate of Brandenburg from 1680 to 1701 and a province of the German Kingdom of Prussia from 1701 to 1807. It replaced the Archbishopric of Magdeburg after its secularization by Brandenburg. The duchy's capitals were Magdeburg and Halle, while Burg was another important town. 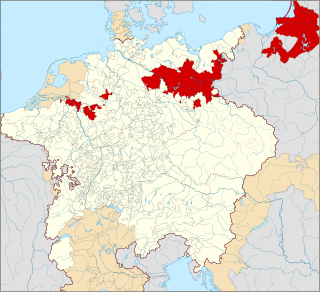 Dissolved during the Napoleonic Wars in 1807, its territory was made part of the Province of Saxony in 1815. Stillbirth is typically defined as fetal death at or after 20 to 28 weeks of pregnancy. It results in a baby born without signs of life. A stillbirth can result in the feeling of guilt or grief in the mother. The term is in contrast to miscarriage, which is an early pregnancy loss, and live birth, where the baby is born alive, even if it dies shortly after. Handel's probationary appointment to Domkirche expired in March 1703. By July [lower-alpha 17] Handel was in Hamburg. Since he left no explanation for the move [lower-alpha 18] biographers have offered their own speculation. Burrows believes that the answer can be found by untangling Mainwaring's confused chronology of the trip to Berlin. Burrows dates this trip to 1702 or 1703 (after his father's death) and concluded that since Handel (through a "friend and relation" at the Berlin court) turned down Frederick's offer to subsidize his musical education in Italy (with the implicit understanding that he would become a court musician on his return), Handel was no longer able to expect preferment (whether as musician, lawyer or otherwise) within Brandenburg-Prussia. And since he was attracted to secular, dramatic music (by meeting the Italians Bononcini and Attilio Ariosti and through the influence of Telemann), Hamburg, a free city with an established opera company, was the logical choice. The question remains, however, why Handel rejected the King's offer, given that Italy was the center of opera. Lang suggests that, influenced by the teachings of Thomasius, Handel's character was such that he was unable to make himself subservient to anyone, even a king. Lang sees Handel as someone who could not accept class distinctions that required him to regard himself as a social inferior. "What Handel craved was personal freedom to raise himself out of his provincial milieu to a life of culture." Burrows notes that like his father, Handel was able to accept royal (and aristocratic) favors without considering himself a court servant. And so given the embarrassed financial condition of his mother,  Handel set off for Hamburg to obtain experience while supporting himself. In 1703 he accepted a position as violinist and harpsichordist in the orchestra of the Hamburg Oper am Gänsemarkt. There he met the composers Johann Mattheson, Christoph Graupner and Reinhard Keiser. His first two operas, Almira and Nero, were produced in 1705. He produced two other operas, Daphne and Florindo , in 1708. It is unclear whether Handel directed these performances. According to Mainwaring, in 1706 Handel travelled to Italy at the invitation of Ferdinando de' Medici. Other sources say Handel was invited by Gian Gastone de' Medici, whom Handel had met in 1703–1704 in Hamburg. De' Medici, who had a keen interest in opera, was trying to make Florence Italy's musical capital by attracting the leading talents of his day. In Italy Handel met librettist Antonio Salvi, with whom he later collaborated. Handel left for Rome and, since opera was (temporarily) banned in the Papal States, composed sacred music for the Roman clergy. His famous Dixit Dominus (1707) is from this era. He also composed cantatas in pastoral style for musical gatherings in the palaces of cardinals Pietro Ottoboni, Benedetto Pamphili and Carlo Colonna. Two oratorios, La resurrezione and Il trionfo del tempo , were produced in a private setting for Ruspoli and Ottoboni in 1709 and 1710, respectively. Rodrigo , his first all-Italian opera, was produced in the Cocomero theatre in Florence in 1707. Agrippina was first produced in 1709 at Teatro San Giovanni Grisostomo, owned by the Grimanis. The opera, with a libretto by Cardinal Vincenzo Grimani, ran for 27 nights successively. The audience, thunderstruck with the grandeur and sublimity of his style,  applauded for Il caro Sassone ("the dear Saxon" – referring to Handel's German origins). In 1710, Handel became Kapellmeister to German prince George, the Elector of Hanover, who in 1714 would become King George I of Great Britain and Ireland. He visited Anna Maria Luisa de' Medici and her husband in Düsseldorf on his way to London in 1710. With his opera Rinaldo , based on La Gerusalemme Liberata by the Italian poet Torquato Tasso, Handel enjoyed great success, although it was composed quickly, with many borrowings from his older Italian works. This work contains one of Handel's favourite arias, Cara sposa, amante cara, and the famous Lascia ch'io pianga. One of his most important patrons was The 3rd Earl of Burlington and 4th Earl of Cork, a young and extremely wealthy member of an Anglo-Irish aristocratic family. While living in the mansion of Lord Burlington, Handel wrote Amadigi di Gaula , a "magic" opera, about a damsel in distress, based on the tragedy by Antoine Houdar de la Motte. 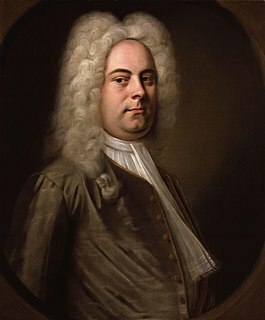 In May 1719, The 1st Duke of Newcastle, the Lord Chamberlain, ordered Handel to look for new singers. Handel travelled to Dresden to attend the newly built opera. He saw Teofane by Antonio Lotti, and engaged members of the cast for the Royal Academy of Music, founded by a group of aristocrats to assure themselves a constant supply of baroque opera or opera seria. Handel may have invited John Smith, his fellow student in Halle, and his son Johann Christoph Schmidt, to become his secretary and amanuensis. By 1723 he had moved into a Georgian house at 25 Brook Street, which he rented for the rest of his life. This house, where he rehearsed, copied music and sold tickets, is now the Handel House Museum. [lower-alpha 19] During twelve months between 1724 and 1725, Handel wrote three outstanding and successful operas, Giulio Cesare , Tamerlano and Rodelinda . Handel's operas are filled with da capo arias, such as Svegliatevi nel core . After composing Silete venti, he concentrated on opera and stopped writing cantatas. Scipio , from which the regimental slow march of the British Grenadier Guards is derived,  was performed as a stopgap, waiting for the arrival of Faustina Bordoni. In 1727 Handel was commissioned to write four anthems for the Coronation ceremony of King George II. One of these, Zadok the Priest , has been played at every British coronation ceremony since. In 1728 John Gay's The Beggar's Opera , which made fun of the type of Italian opera Handel had popularised in London, premiered at Lincoln's Inn Fields Theatre and ran for 62 consecutive performances, the longest run in theatre history up to that time. After nine years the Royal Academy of Music ceased to function but Handel soon started a new company. The Queen's Theatre at the Haymarket (now Her Majesty's Theatre), established in 1705 by architect and playwright John Vanbrugh, quickly became an opera house. Between 1711 and 1739, more than 25 of Handel's operas premièred there. In 1729 Handel became joint manager of the theatre with John James Heidegger. In 1733 the Earl of Essex received a letter with the following sentence: "Handel became so arbitrary a prince, that the Town murmurs". The board of chief investors expected Handel to retire when his contract ended, but Handel immediately looked for another theatre. In cooperation with John Rich he started his third company at Covent Garden Theatre. Rich was renowned for his spectacular productions. He suggested Handel use his small chorus and introduce the dancing of Marie Sallé, for whom Handel composed Terpsicore . In 1735 he introduced organ concertos between the acts. For the first time Handel allowed Gioacchino Conti, who had no time to learn his part, to substitute arias. Financially, Ariodante was a failure, although he introduced ballet suites at the end of each act. Alcina , his last opera with a magic content, and Alexander's Feast or the Power of Music based on John Dryden's Alexander's Feast starred Anna Maria Strada del Pò and John Beard. In 1736 Handel produced Alexander's Feast . 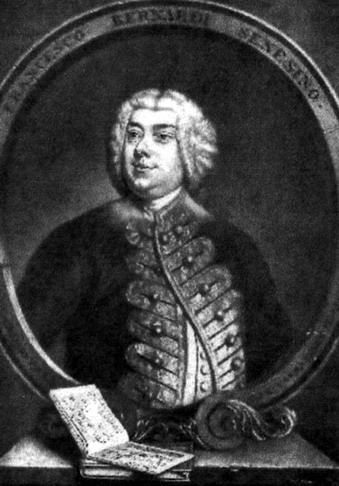 John Beard appeared for the first time as one of Handel's principal singers and became Handel's permanent tenor soloist for the rest of Handel's life. The piece was a great success and it encouraged Handel to make the transition from writing Italian operas to English choral works. In Saul , Handel was collaborating with Charles Jennens and experimenting with three trombones, a carillon and extra-large military kettledrums (from the Tower of London), to be sure "...it will be most excessive noisy". Saul and Israel in Egypt both from 1739 head the list of great, mature oratorios, in which the da capo aria became the exception and not the rule. Israel in Egypt consists of little else but choruses, borrowing from the Funeral Anthem for Queen Caroline . In his next works Handel changed his course. In these works he laid greater stress on the effects of orchestra and soloists; the chorus retired into the background. L'Allegro, il Penseroso ed il Moderato has a rather diverting character; the work is light and fresh. During the summer of 1741, The 3rd Duke of Devonshire invited Handel to Dublin, capital of the Kingdom of Ireland, to give concerts for the benefit of local hospitals. His Messiah was first performed at the New Music Hall in Fishamble Street on 13 April 1742, with 26 boys and five men from the combined choirs of St Patrick's and Christ Church cathedrals participating. Handel secured a balance between soloists and chorus which he never surpassed. In 1747 Handel wrote his oratorio Alexander Balus. This work was produced at Covent Garden Theatre in London, on 23 March 1748, and to the aria Hark! hark! He strikes the golden lyre, Handel wrote the accompaniment for mandolin, harp, violin, viola, and violoncello. Another of his English oratorios, Solomon , was first performed on 17 March 1749 at the Covent Garden Theatre. Solomon contains a short and lively instrumental passage for two oboes and strings in act 3, known as "The Arrival of the Queen of Sheba". In 1749 Handel composed Music for the Royal Fireworks ; 12,000 people attended the first performance. In 1750 he arranged a performance of Messiah to benefit the Foundling Hospital. The performance was considered a great success and was followed by annual concerts that continued throughout his life. In recognition of his patronage, Handel was made a governor of the Hospital the day after his initial concert. He bequeathed a copy of Messiah to the institution upon his death. His involvement with the Foundling Hospital is today commemorated with a permanent exhibition in London's Foundling Museum, which also holds the Gerald Coke Handel Collection. In addition to the Foundling Hospital, Handel also gave to a charity that assisted impoverished musicians and their families. In August 1750, on a journey back from Germany to London, Handel was seriously injured in a carriage accident between The Hague and Haarlem in the Netherlands. In 1751 one eye started to fail. The cause was a cataract which was operated on by the great charlatan Chevalier Taylor. This did not improve his eyesight, but possibly made it worse. He was completely blind by 1752. He died in 1759 at home in Brook Street, at age 74. The last performance he attended was of Messiah. Handel was buried in Westminster Abbey. More than three thousand mourners attended his funeral, which was given full state honours. Handel's compositions include 42 operas, 29 oratorios, more than 120 cantatas, trios and duets, numerous arias, chamber music, a large number of ecumenical pieces, odes and serenatas, and 16 organ concerti. His most famous work, the oratorio Messiah with its "Hallelujah" chorus, is among the most popular works in choral music and has become the centrepiece of the Christmas season. The Lobkowicz Palace in Prague holds Mozart's copy of Messiah, complete with handwritten annotations. Among the works with opus numbers published and popularised in his lifetime are the Organ Concertos Op. 4 and Op. 7, together with the Opus 3 and Opus 6 concerti grossi; the latter incorporate an earlier organ concerto The Cuckoo and the Nightingale in which birdsong is imitated in the upper registers of the organ. Also notable are his sixteen keyboard suites, especially The Harmonious Blacksmith . Handel has generally been accorded high esteem by fellow composers, both in his own time and since. Bach attempted, unsuccessfully, to meet Handel while he was visiting Halle. Mozart is reputed to have said of him, "Handel understands affect better than any of us. When he chooses, he strikes like a thunder bolt." To Beethoven he was "the master of us all... the greatest composer that ever lived. I would uncover my head and kneel before his tomb." Beethoven emphasised above all the simplicity and popular appeal of Handel's music when he said, "Go to him to learn how to achieve great effects, by such simple means." ↑ "Handel" entry in Collins English Dictionary gives the common variant "George Frederick" (used in his will and on his funeral monument) alongside the pronunciation of his last name. The spelling "Frideric" is used on his 1727 application for British citizenship. ↑ Both Landon and Hogwood point out and to the extent possible correct the more obvious misstatements of facts and dates and inconsistencies of Mainwaring. See Landon 1984, pp. 9–19; Hogwood 1984, pp. 11–17. ↑ Mainwaring gives the cryptic explanation that since he had to earn a living from his profession, he had to find a place less distant than Berlin. Given that Hamburg's opera house was second only to Berlin's in repute, "it was resolved to send him thither on his own bottom, and chiefly with a view to improvement." The passage suggests that Handel had already determined on secular dramatic music as a career, but who it was "to send him thither" is not explained. Friedrich Wilhelm Zachow or Zachau was a German musician and composer of vocal and keyboard music. Johann Mattheson was a German composer, singer, writer, lexicographer, diplomat and music theorist. Agrippina is an opera seria in three acts by George Frideric Handel with a libretto by Cardinal Vincenzo Grimani. Composed for the 1709–10 Venice Carnevale season, the opera tells the story of Agrippina, the mother of Nero, as she plots the downfall of the Roman Emperor Claudius and the installation of her son as emperor. Grimani's libretto, considered one of the best that Handel set, is an "anti-heroic satirical comedy", full of topical political allusions. Some analysts believe that it reflects Grimani's political and diplomatic rivalry with Pope Clement XI. Reinhard Keiser was a popular German opera composer based in Hamburg. He wrote over a hundred operas. Johann Adolf Scheibe considered him an equal to Johann Kuhnau, George Frideric Handel and Georg Philipp Telemann, but his work was largely forgotten for many decades. Handel & Hendrix in London is a museum in Mayfair, London dedicated to the lives and works of the German-born British baroque composer George Frideric Handel and the rock guitarist Jimi Hendrix, who lived at 25 and 23 Brook Street respectively. Israel in Egypt is a biblical oratorio by the composer George Frideric Handel. Most scholars believe the libretto was prepared by Charles Jennens, who also compiled the biblical texts for Handel's Messiah. It is composed entirely of selected passages from the Old Testament, mainly from Exodus and the Psalms. Karl Franz Friedrich Chrysander was a German music historian, critic and publisher, whose edition of the works of George Frideric Handel and authoritative writings on many other composers established him as a pioneer of 19th-century musicology. The Brockes Passion, or Der für die Sünde der Welt gemarterte und sterbende Jesus, is a German oratorio libretto by Barthold Heinrich Brockes, first published in 1712 and going through 30 or so editions in the next 15 years. John Mainwaring (1724–1807) was an English theologian and the first biographer of the composer Georg Friedrich Händel in any language. He was a Fellow of St. John's College, Cambridge, and became rector of the parish of Church Stretton, Shropshire, and, later professor of Divinity at Cambridge. In 1760, one year after Handel was buried in Westminster Abbey he published anonymously a biography 'Memoirs of the Life of the Late George Frederic Handel'. Georg Händel was a barber-surgeon and the father of Georg Frideric Handel. The Handel Festival in Halle an der Saale, Saxony-Anhalt, is an international music festival concentrating on the music of George Frideric Handel in the composer's birthplace. It was founded in 1922 and it grew into a center of Handel studies and performance in Europe. Especially Handel's operas have been staged regularly, some of them as first revivals. Aure soavi e liete is a Baroque dramatic secular cantata in the key of E-flat major composed by George Frideric Handel in 1707 while he was serving as Kapellmeister to the Ruspoli family in Rome. The author of the text is unknown. Other catalogues of Handel's music have referred to the work as HG l,12. The cantata is scored for solo soprano voice and basso continuo. It is divided into four separate movements with a typical performance lasting approximately seven and a half minutes. Messiah, the English-language oratorio composed by George Frideric Handel in 1741, is structured in three parts, listed here in tables for their musical setting and biblical sources. Messiah, the English-language oratorio composed by George Frideric Handel in 1741, is structured in three parts. This listing covers Part III in a table and comments on individual movements, reflecting the relation of the musical setting to the text. Part I begins with the prophecy of the Messiah and his birth, shows the annunciation to the shepherds as a scene from the Gospel of Luke, and reflects the Messiah's deeds on Earth. Part II covers the Passion, death, resurrection, ascension, and the later spreading of the Gospel. Part III concentrates on Paul's teaching of the resurrection of the dead and Christ's glorification in heaven. Parnasso in festa, per li sponsali di Teti e Peleo, by George Frideric Handel, is a festa teatrale, a form also called a "serenata", a type of Italian opera intended as entertainment to celebrate a festive royal or state occasion. The work was written to celebrate the marriage of Anne, Princess Royal and Prince William of Orange. Parnasso in festa had its first performance in London at the King's Theatre on 13 March 1734 and was repeated five times. The operatic entertainment, to an anonymous libretto, was such a success at its London premiere that although it was intended as a one-off production for a royal wedding, Parnasso in festa was revived by Handel in several subsequent seasons. In 1703, the 18-year-old composer George Frideric Handel took up residence in Hamburg, Germany, where he remained until 1706. During this period he composed four operas, only the first of which, Almira, has survived more or less intact. Of the other three, the music for Nero is lost, while only short orchestral excerpts from Florindo and Daphne survive. ↑ Schoelcher 1857, pp. 1–2. ↑ Hicks 1998, p. 614. ↑ Schoelcher 1857, p. 2. ↑ "British Citizen by Act of Parliament: George Frideric Handel". Parliament.uk. 14 April 2009. Archived from the original on 4 May 2012. Retrieved 13 April 2012. ↑ Adams & Hofestädt 2005, pp. 144–6. 1 2 3 Adams & Hofestädt 2005, p. 144. ↑ Adams & Hofestädt 2005 , p. 144; Burrows 1994 , p. 1. ↑ Burrows 1994, p. 1. 1 2 3 Lang 1966, p. 20. ↑ Burrows 1994, pp. 1–2. ↑ Lang 1966, pp. 25–26. 1 2 Lang 1966, p. 10. ↑ Adams & Hofestädt 2005, pp. 144–45. ↑ Landon 1984, p. 9. ↑ Deutsch 1955, p. 6. ↑ Deutsch 1955 , p. 2; Landon 1984 , p. 9. ↑ Dreyhaupt 1755, p. 625. ↑ Maitland & Squire 1890, p. 277. ↑ Landon 1984 , p. 10; Schoelcher 1857 , p. 7 n.1. ↑ Schoelcher 1857, p. 3. ↑ Mainwaring 1760, pp. 4–5. ↑ Mainwaring 1760, p. 5. ↑ Schoelcher 1857, p. 4. 1 2 3 Lang 1966, p. 11. ↑ Dent 2004, pp. 3–4. 1 2 3 Schoelcher 1857, p. 5. ↑ Schoelcher 1857, p. 4; Bone 1914, p. 141. ↑ Chrysander 1858: Buch 1: 2. Kindheit. ↑ Schoelcher 1857 , pp. 4–5; Bone 1914 , p. 141; Lang 1966 , p. 11. ↑ Lang 1966 , p. 11; Bone 1914 , p. 141; Schoelcher 1857 , p. 5. ↑ Lang 1966, pp. 11–12. ↑ Lang 1966 , p. 12; Landon 1984 , p. 15. See also Seiffert, Max (1905). "Preface to Volumes 21, 21 (Zachow)". Denkmäler deutscher Tonkunst . Leipzig: Breitkopf & Härte. ↑ Schoelcher 1857 , pp. 5–6. See also Bone 1914 , pp. 141–42. 1 2 Schoelcher 1857, p. 6. ↑ Lang 1966, p. 12. ↑ Lang 1966, p. 14. ↑ Lang 1966, pp. 13–16. ↑ Mainwaring 1760, p. 15. ↑ Mainwaring 1760, p. 16. 1 2 Mainwaring 1760, p. 18. ↑ Schoelcher 1857 , p. 6; Deutsch 1955 , pp. 5–6 (inscription on Georg Händel's tombstone). 1 2 Lang 1966, p. 19. ↑ Deutsch 1955 , pp. 6–8 (containing the poem and English translation). ↑ Landon 1984, p. 30 n.5. ↑ Mainwaring 1760, pp. 24–25. 1 2 Mainwaring 1760, p. 29. 1 2 Lang 1966, p. 166. ↑ Schoelcher 1857, pp. 6–7. ↑ Landon 1984, p. 31 n.8. ↑ Landon 1984, p. 31 n.7. ↑ Landon 1984, pp. 31 n.7 & 53. ↑ Dean 1982 , p. 2; Deutsch 1955 , p. 8. ↑ Lang 1966 , p. 20; Dent 1982 , p. 2. ↑ Lang 1966, pp. 20–21. ↑ Lang 1966, p. 21. ↑ Burrows 1994, p. 10; Deutsch 1955, pp. 8, 9, 10. ↑ Dent 1982, p. 2. ↑ Burrows 1994, p. 20. ↑ Burrows 1994 , pp. 10–11 translating Mattheson 1740 , p. 359. 1 2 Deutsch 1955, p. 9. ↑ Lang 1966, p. 22 n.2. ↑ Lang 1966 , p. 22 translating Mattheson 1740 , p. 93. ↑ Deutsch 1955, p. 4 n.1. 1 2 Lang 1966, p. 23. ↑ Hogwood 1984, p. 21. ↑ Best 1985, pp. 486–89. ↑ Deutsch 1955, p. 10. ↑ Mattheson 1740, pp. 29, 191. ↑ Mainwaring 1760, pp. 27–28. ↑ Burrows 1994, pp. 11–13. ↑ Lang 1966, p. 26. ↑ Burrows 1994, p. 12. ↑ Harris 2001, p. 37. ↑ Mainwaring 1760, p. 52. ↑ Burrows 1994, p. 77. ↑ Bukofzer 1947, pp. 333–35. ↑ Rolland 1916, p. 71. ↑ Dean 2006 , p. 226 According to Dean they could not have reached London before 1716. In 1743, Smith wrote in a letter that he had been in Handel's service for 24 years. ↑ Imogen Levy (2 June 1953). "Guide to the Coronation Service". Westminster Abbey. Archived from the original on 5 December 2010. Retrieved 28 May 2012. ↑ ""Longest running Plays in London and New York", Stage Beauty". ↑ "Synopsis of Arianna in Creta". Handelhouse.org. Handel House Museum. Archived from the original on 26 July 2014. Retrieved 23 July 2014. ↑ Burrows 1994, p. 395. 1 2 3 Hicks 2013. ↑ Marx 1998, p. 243. ↑ Larsen 1972 , p. 15 Handels Messiah. A distinguished authority on Handel discusses the origins, composition, and sources of one of the great choral works of western civilization. ↑ Marx 1998, p. 48. ↑ Burrows 1994, p. 217. ↑ Bone 1914, pp. 142_44. ↑ "G. F. Handel's Compositions". The Handel Institute. Archived from the original on 24 September 2013. Retrieved 28 September 2013. 1 2 "Handel as art collector – Thomas McGeary". Em.oxfordjournals.org. 1 February 2012. Archived from the original on 6 December 2013. Retrieved 13 April 2012. ↑ Mainwaring 1760, pp. 145–55. ↑ Dean 1982, p. 116. ↑ The Halle Handel Edition. "A short history of editing Handel". Archived from the original on 3 March 2012. Retrieved 3 December 2011. ↑ "The Birth of British Music: Handel – The Conquering Hero". BBC. 24 September 2017. Archived from the original on 14 May 2017. ↑ Blyth, Alan (2007). Choral Music on Record. Cambridge University Press. p. 82. ↑ "BBC Press Release". Bbc.co.uk. 13 January 2009. Archived from the original on 27 November 2013. Retrieved 13 April 2012. 1 2 Young, Percy Marshall (1 April 1975) . Handel (Master Musician series). J.M.Dent & Sons. p. 254. ISBN 0-460-03161-9. Best, Terence (November 1985). "Handel's Chamber Music: Sources, Chronology and Authenticity". Early Music. 13 (4): 476–99. doi:10.1093/em/13.4.476. JSTOR 3127226. (Subscription required (help)). Frosch, William A. (1990). "Moods, Madness, and Music. II. Was Handel Insane?". The Musical Quarterly. 74 (1): 31–56. doi:10.1093/mq/74.1.31. JSTOR 741903. (Subscription required (help)). Hicks, Anthony (1976–1977). "Handel's Early Musical Development". Proceedings of the Royal Musical Association. 103: 80–89. doi:10.1093/jrma/103.1.80. JSTOR 765887. (Subscription required (help)). Hicks, Anthony (1998). "Handel, George Frederick". In Sadie, Stanley. The New Grove Dictionary of Opera. 2. London: Macmillan Publishers. pp. 614–26. ISBN 1-56159-228-5. Hogg, Katharine (July–September 2008). "Handel and the Fundling Hospital: The Gerald Coke Handel Collection at the Foundling Museum". Fontes Artis Musicae. 55 (3): 435–47. JSTOR 23512496. (Subscription required (help)). Hume, Robert D. (October 1986). "Handel and Opera Management in London in the 1730s". Music & Letters. 67 (4): 347–62. doi:10.1093/ml/67.4.347. JSTOR 735134. (Subscription required (help)). Hunter, David (November 2001). "Handel among the Jacobites". Music & Letters. 82 (4): 543–56. doi:10.1093/ml/82.4.543. JSTOR 3526275. (Subscription required (help)). Joncus, Berta (2006). Handel at Drury Lane: Ballad Opera and the Production of Kitty Clive. Journal of the Royal Musical Association. 131. pp. 179–226. JSTOR 30161399. (Subscription required (help)). Keynes, Milo (September 1982). "Handel and His Illnesses". The Musical Times. 123 (1675): 613–14. doi:10.2307/963285. JSTOR 963285. (Subscription required (help)). King, Richard G. (August 1991). "Handel's Travels in the Netherlands in 1750". Music & Letters. 72 (3): 372–86. doi:10.1093/ml/72.3.372. JSTOR 736214. (Subscription required (help)). MacArdle, Donald (January 1960). "Beethoven and Handel". Music & Letters. 41 (1): 33–37. doi:10.1093/ml/41.1.33. JSTOR 729686. (Subscription required (help)). McGeary, Thomas (2011). "Handel and Homosexuality: Burlington House and Cannons Revisited". Journal of the Royal Musical Association. 136 (1): 33–71. doi:10.1080/02690403.2011.562718. JSTOR 41300166. (Subscription required (help)). Maitland, J.A. Fuller; Squire, W. Barclay (1890). "Handel, George Friederick". In Stephen, Leslie; Lee, Sidney. Dictionary of National Biography. XXIV Haile–Harriott. New York: Macmillan and Co. pp. 277–91. Shedlock, J.S. (1 July 1901). "Handel's Borrowings". The Musical Times and Singing Class Circular. 42 (701): 450–52. doi:10.2307/3367660. JSTOR 3367660. (Subscription required (help)). Shedlock, J.S. (1 August 1901). "Handel's Borrowings (continued)". The Musical Times and Singing Class Circular. 42 (702): 526–28. doi:10.2307/3366187. JSTOR 3366187. (Subscription required (help)). Shedlock, J.S. (1 September 1901). "Handel's Borrowings (concluded)". The Musical Times and Singing Class Circular. 42 (703): 596–60. doi:10.2307/3366025. JSTOR 3366025. (Subscription required (help)). Winemiller, John T. (Autumn 1997). "Recontextualizing Handel's Borrowing". The Journal of Musicology. 15 (4): 444–70. doi:10.2307/764003. JSTOR 764003. (Subscription required (help)). White, Harry (1987). "Handel in Dublin: A Note". Eighteenth-Century Ireland / Iris an dá chultúr. 2: 182–86. JSTOR 30070846. (Subscription required (help)).